Say the name, Rohan Reid, and almost everyone in Jamaica knows his life story. The third of seven children, born and raised in Kingston, Rohan was encouraged to start learning bass at the tender age of 6. His father had him pick up the guitar to teach him a “few chords” to play along in church. Little did he and his wife know that this youngster would, in a short amount of time, learn and master both bass and guitar. 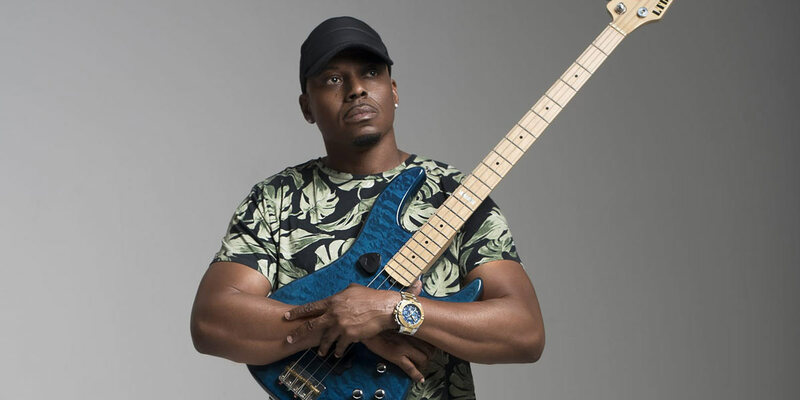 Rohan, now known as one of the most accomplished bassist in the Caribbean, was highly requested and more than ready to take his talent abroad to the USA. Beanie Man, Big Mountain, Dennis Brown, Dianna King, Eric Darius, Irene Cara, Jimmy Cliff, Jessie Dixon, Leon Patillo, Maxi Priest, Najee, Wayne Wonder and Musical Director for Wisin & Yandel; these are only a few of the Grammy Award winning and Billboard charting artist that have experienced the amazing passion Rohan brings to his craft. Ladies and gentlemen, Jamaica’s own treasure, Mr. Rohan Reid.